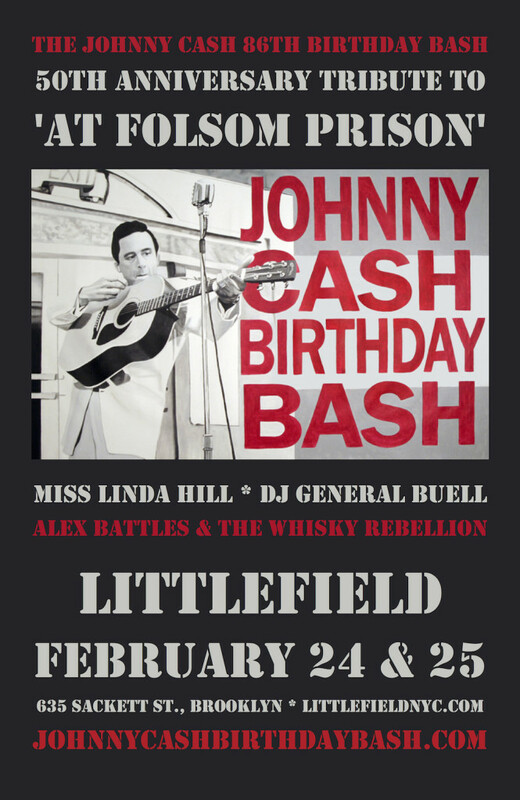 The Johnny Cash 86th Birthday Bash starring Alex Battles & the Whisky Rebellion with special guest Miss Linda Hill returns to littlefield on Saturday, February 24, 2018 and Sunday, February 25, 2018. This year’s show pays special tribute to ‘At Folsom Prison’, the landmark concert album recorded fifty years ago in 1968. Cash had performed at prisons since releasing the song “Folsom Prison Blues” on Sun Records in 1955. 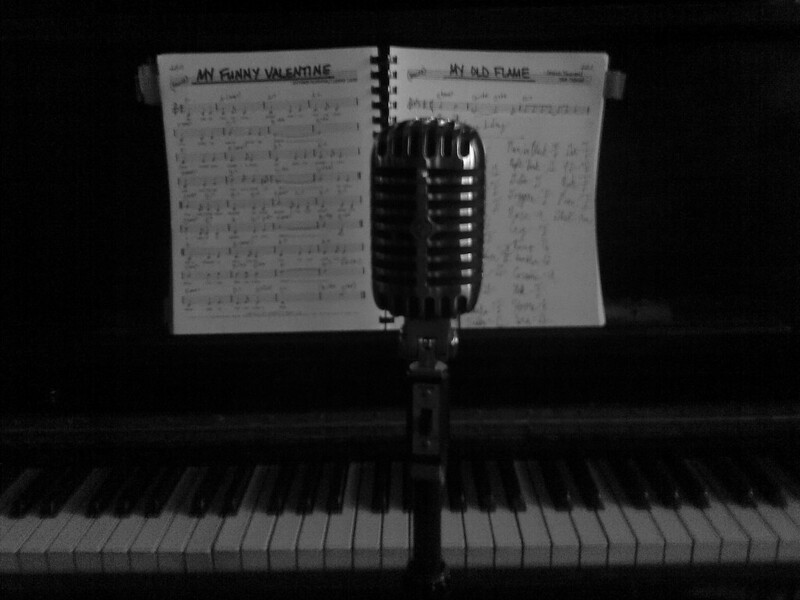 Released as a single, the live recording of “Folsom Prison Blues” from ‘At Folsom Prison’ reached #1 on the C&W charts and catapulted Cash to even higher levels international stardom. Soon after, he could be seen hosting of “The Johnny Cash Show,” a weekly ABC variety show recorded at the Ryman Auditorium in Nashville, Tennessee. 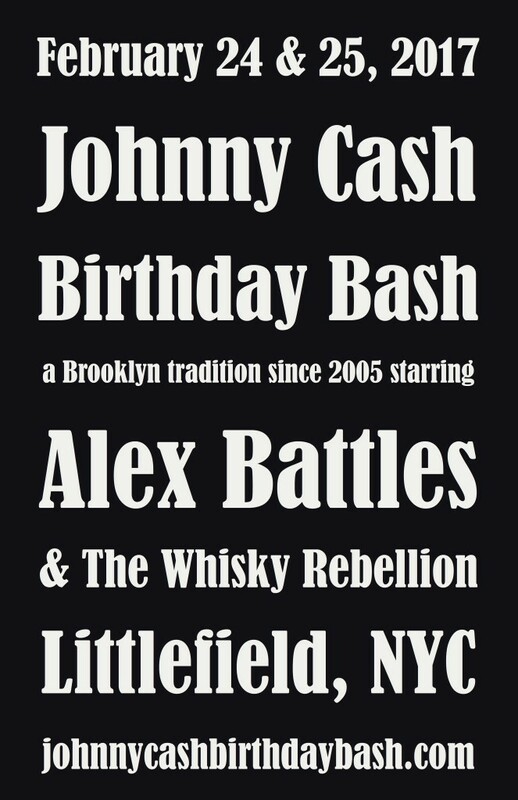 The Johnny Cash Birthday Bash has been an annual event in Brooklyn for Alex Battles & The Whisky Rebellion since 2005. 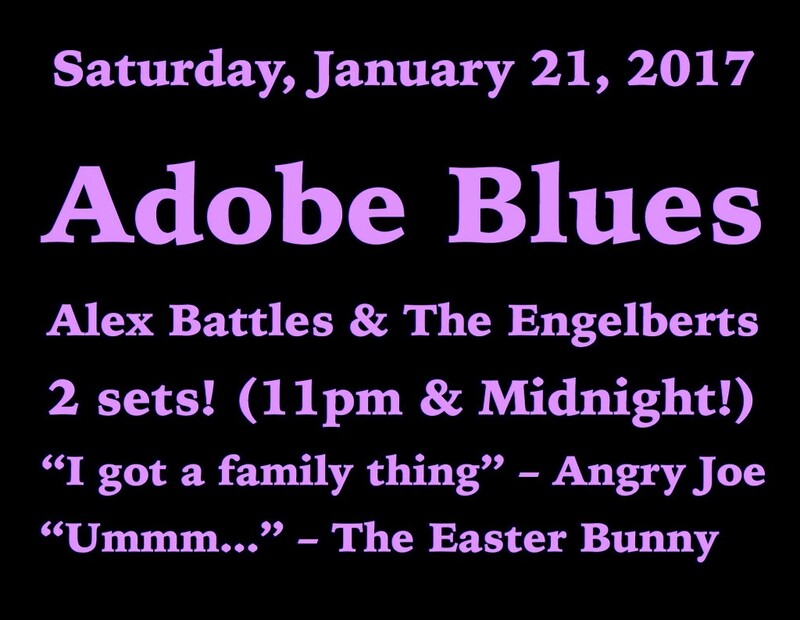 Patrons are welcomed a mix of country favorites from DJ General Buell on the wheels of brushed aluminum as doors open at 8pm. 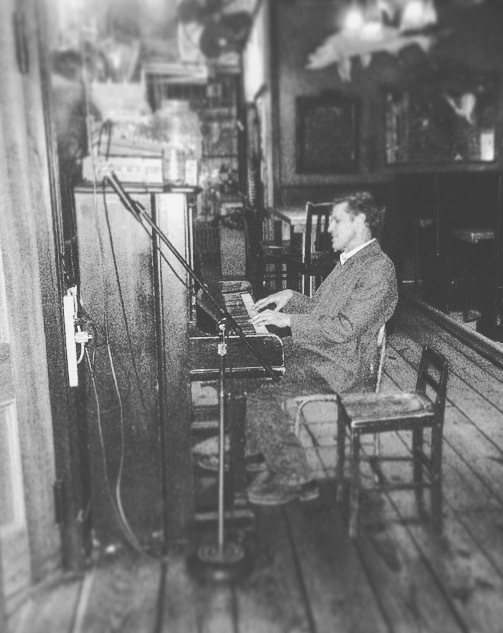 After Battles encourages guests to shake hands and wish each other “Happy Birthday” so that “we are all Johnny Cash”, the seven-piece Whisky Rebellion take the stage in front of a painted backdrop by LJ Lindhurst to re-create the music of The Man In Black at 9pm. Performing the iconic June Carter duets with Alex will be writer, performer, and comedienne Miss Linda Hill. The Johnny Cash Birthday Bash has sold out every year since its inception. 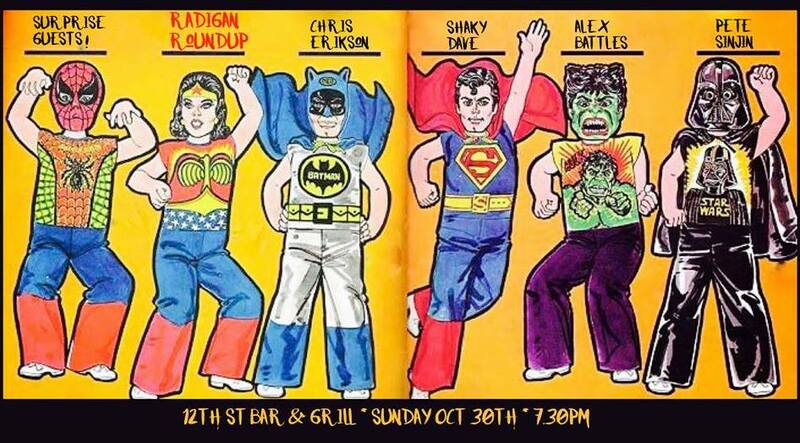 Advance tickets are strongly recommended. The Johnny Cash Birthday Bash will be at Littlefield on Friday, February 24, 2017 and Saturday, February 25, 2017. 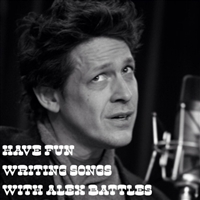 Since 2005, Alex Battles has hosted an annual celebration of the Man In Black. 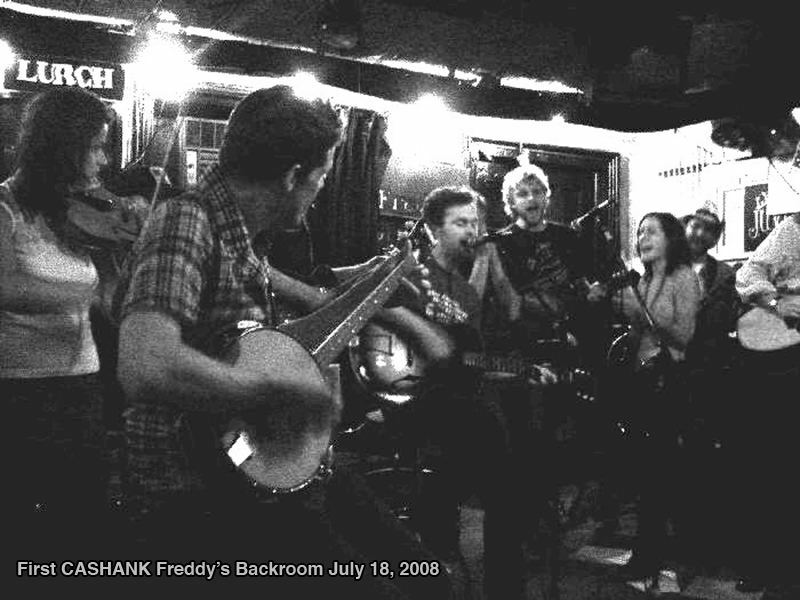 Joined by his band, The Whisky Rebellion, Battles sings a calvalcade of favorites including “Big River”, “Folsom Prison Blues“, “Ring of Fire“, “Jackson”, “I Walk The Line”, “I’ve Been Everywhere“, “One Piece at a Time”, “I Still Miss Someone”, “Daddy Sang Bass“, and many, many more! Tickets to this event are now available for online purchase.